Social scientists have long known that political beliefs bias the way they think about, understand, and interpret the world around them. In this volume, scholars from social psychology and related fields explore the ways in which social scientists themselves have allowed their own political biases to influence their research. These biases may influence the development of research hypotheses, the design of studies and methods and materials chosen to test hypotheses, decisions to publish or not publish results based on their consistency with one’s prior political beliefs, and how results are described and dissemination to the popular press. The fact that these processes occur within academic disciplines, such as social psychology, that strongly skew to the political left compounds the problem. 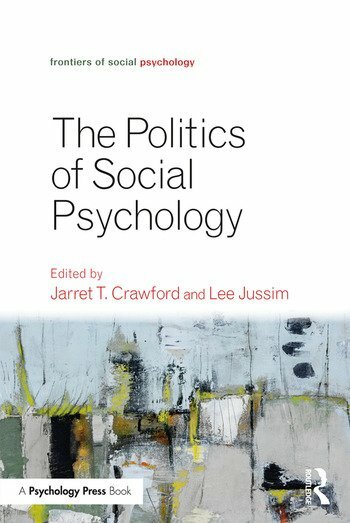 Contributors to this volume not only identify and document the ways that social psychologists’ political beliefs can and have influenced research, but also offer solutions towards a more depoliticized social psychology that can become a model for discourse across the social sciences. Jarret T. Crawford is a Professor of Psychology at The College of New Jersey. He is the author of over 50 publications on political psychology and intergroup attitudes. Lee Jussim is a Professor of Psychology at Rutgers University. He has authored or edited six books and over 100 articles and chapters, focusing primarily on social perception and scientific integrity.